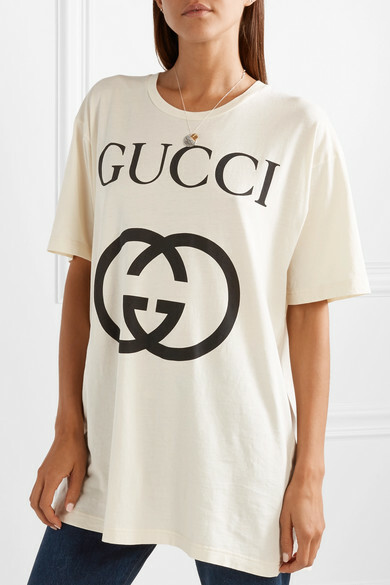 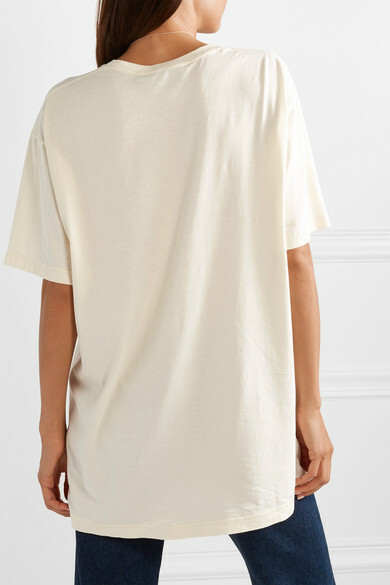 Gucci's signature logo T-shirt continues to evolve each season. 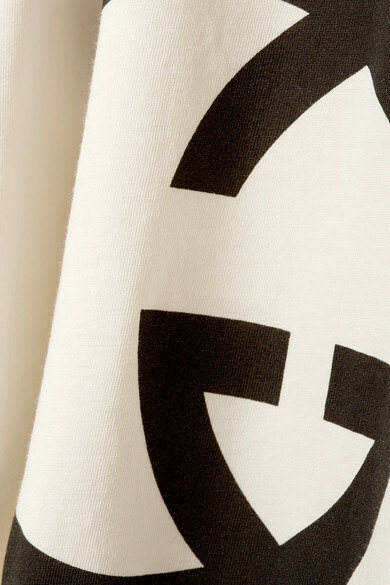 Made from cotton-jersey, this crew-neck version has an interlocking 'GG' print that's influenced by the label's archival '80s designs. 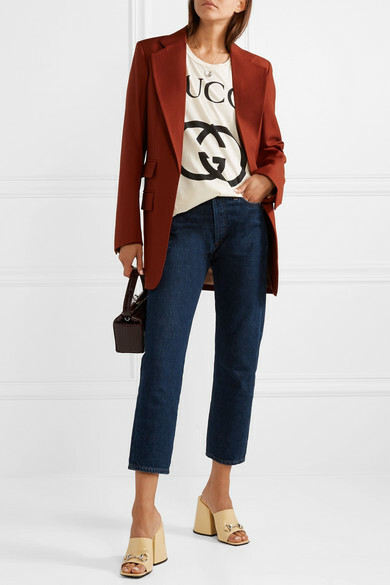 Wear yours beneath a blazer.